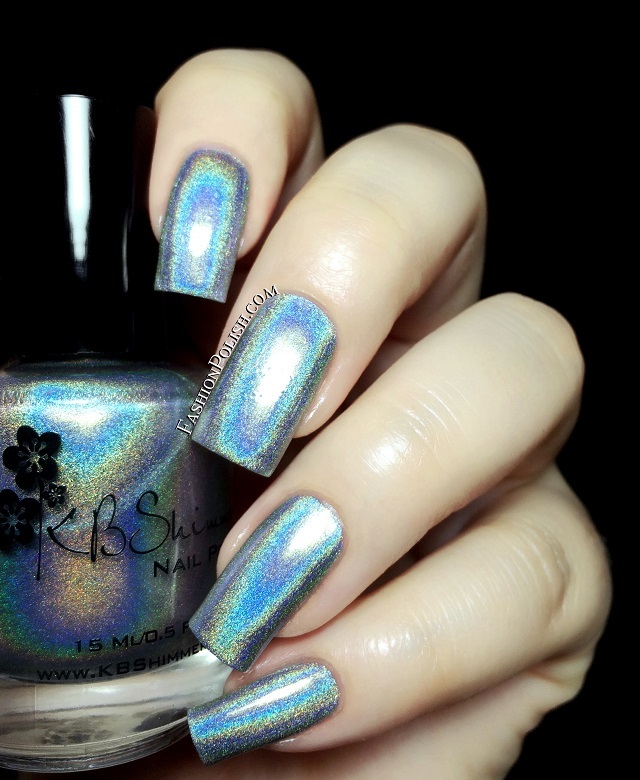 Fashion Polish: KBShimmer Early Summer 2014 collection swatches and review! 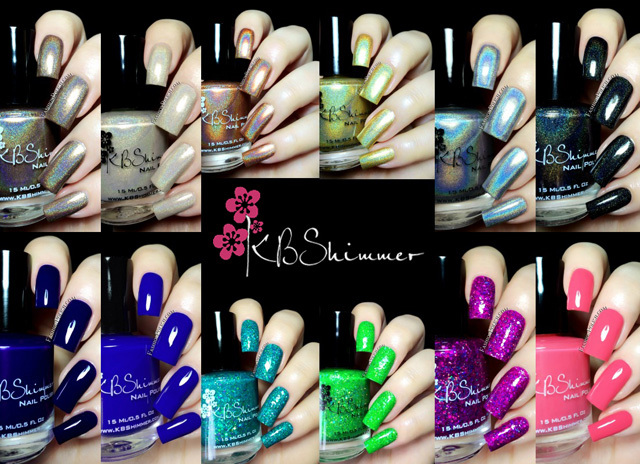 KBShimmer Early Summer 2014 collection swatches and review! I have the latest KBShimmer collection to show you today, a set of 12 Pre Summer shades. If you've been following KBShimmer's latest collections then you must have noticed that the brand has been expending from their typical glitters with cremes and holos. Well to our great pleasure half of the Pre Summer polishes are linear holos. Let's give them all a closer look! In Bare Form is a neutral beige linear holo. Subtle but a perfect alternative to the usual work safe colors. Nice application, it required 3 coats for complete coverage. Run! It's the Coppers! 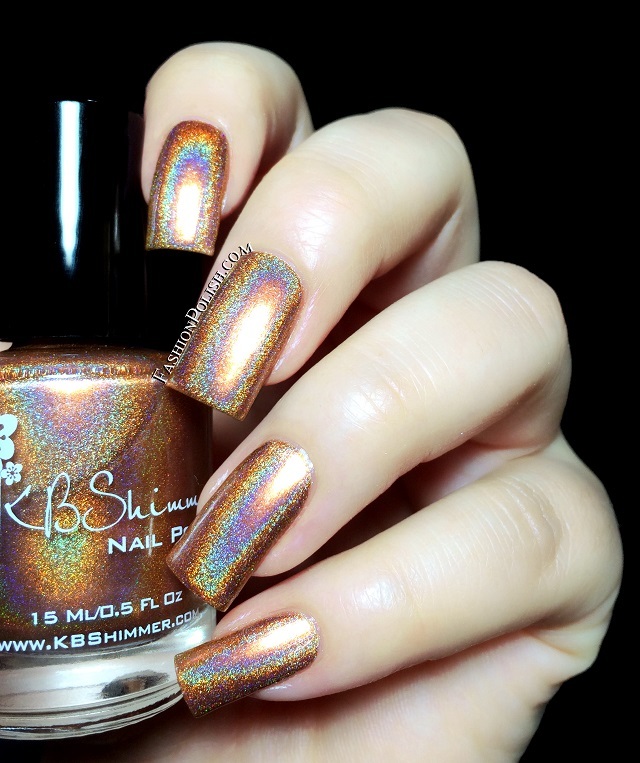 is a bright copper with an intense linear holo. WOW such a glorious copper (and clever name!). This one was perfect in 2 coats. Big Tan on Campus is a tan holo with tons of gold sparkles. Another beautiful color, very complimenting. I also used 2 coats for this one. PT Young Thing is a strong linear holo silver. Everyone needs a great silver holo and you won't be disappointed in this one : intense, easy to apply and an easy 2 coater. Goldie Rocks is a gold holo with hints of green and gold sparkles. I'm not especially drawn to golds but if you are you'll love it. Again, 2 coats used here. Stark Raven Mad is a jet black linear holo. I love black holos and this one has the advantage of being really black and casting a vivid flame at the same time. I used 2 coats in my swatch below. Let's Not Coral is a juicy coral pink crelly. A very happy color with flawless consistency and a 2 coats coverage. 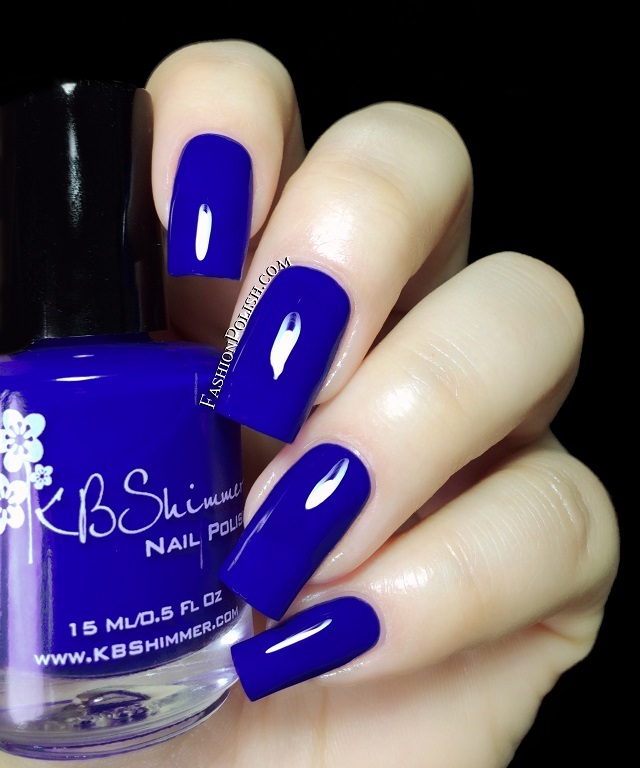 Low & Be Bold is a vivid cobalt blue crelly. Pretty much a must have for all the blue lovers, pure perfection! Application was nice and easy, I used 2 coats for complete coverage. Right as Reign is a deep blurple crelly. It's more purple in real life than it appears in my swatch but well you know purples... Another gorgous color with amazing formula, 2 coats shown below. Too Pop To Handle is a heavy mix of neon magenta purple with magenta, violet, aqua and pink holographic glitters that dries to a matte textured finish. Easy application and excellent glitter pay-off, it covered nicely in just 2 coats. She Twerks Out is a is a bright turquoise blue jam packed with teal, lime green, aqua and violet holographic glitters and a matte textured finish. I love turquoise and this one's just perfect! I used easy 2 coats. Partners in Lime is a neon green loaded with gold, lime green and aqua holographic glitters and, again, a matte textured finish. This one's a showstopper, I mean look at this eye-searing green! 2 coats used here as well. The KBShimmer Early Summer 2014 Collection is already available and can be purchased on KBShimmer.com (US) and Harlow&Co (international). I can't wait to hear your thouhts on these? Did you pick or are yo planning on picking some of them?